My great-Aunt Dot is legendary in my family. Now, she has not jumped out of planes (that I know of), or hacked through the Amazon jungle (I don’t think so), or discovered the damn missing link. Her contribution has been more subtle. 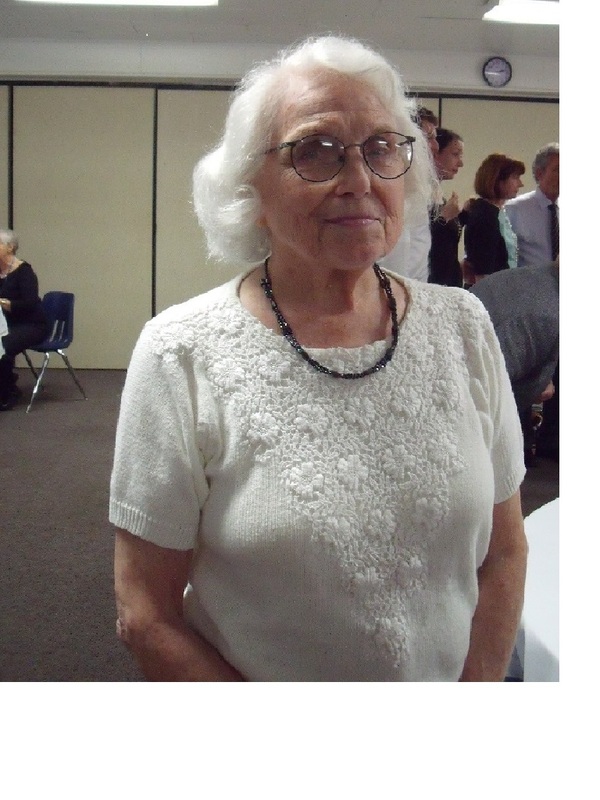 Now, let me explain about her: she is a cute, petite, 88-yr-old lady who lives in Atlanta. She has never been married, and in fact, has lived in the same house in the Capital View neighborhood that her father (my great-grandfather) moved his family into in 1939. The neighborhood has had its ups and downs. At one point I think there was some funky stuff going on, and some folks enjoying some crack and the like, but Dot would NOT move. She waited it out, and sure enough, she was GENTRIFIED. As a matter of fact, you can see her on the website for “The BeltLine”, a high-falutin’ urban park renewal project. On EVERY holiday, especially on every birthday, she sends a cute card with flowers or kittens or cherubs on it to EVERY family member and in it she encloses… $1. Now please understand, I have quite a large extended family now. She may have started with siblings and cousins, etc., but now…there are nieces, nephews, cousins, their spouses, their children, and at this point…their children’s children and children! I mean, she is in for a lotta dough, not to mention cornering the market on Hallmark. 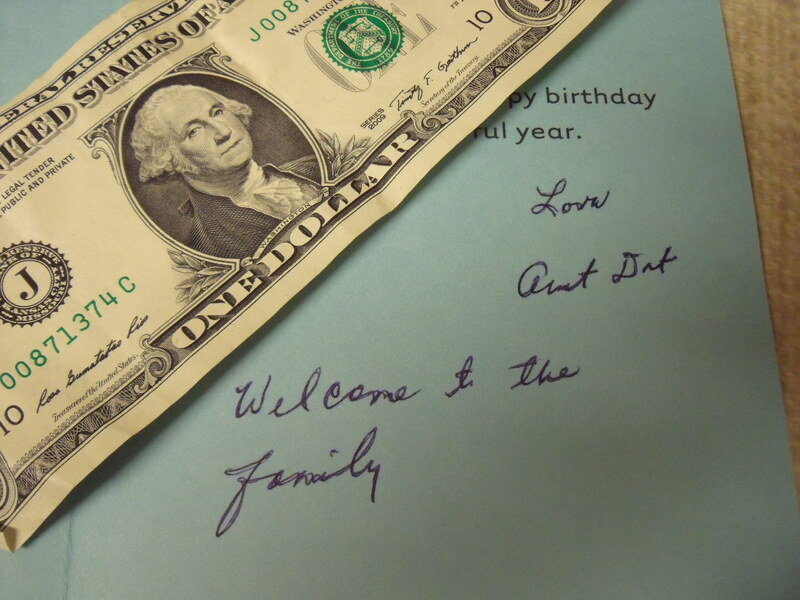 Throughout life, some years, SOME birthdays…well…let’s just say “It ain’t always so yippy-skippy.” But Dot’s card always arrives, and I know I will get the $1. I am so old now that if I had saved and invested them, I might be a wealthy woman today. Oh Yes! Aunt Dot is legendary with all of us. That is awesome that Stephen received that card… and the dollar! And you know, I am not sure how she gets my address sometimes. Mom & Dad lost track of where I lived for awhile but good old Aunt Dot always kept up. Your point about a full time job and investment is not lost on me. Its gotta be in the hundreds now. She is amazing. Ha ha! 😃 very funny. I do love the old one dollar gift! Lol! My grandmother sends every single one of us a $2 bill on our birthday and always has. She has also included my husband and son in this tradition as they came along. My family, like yours, is huge and I don’t know how she finds all of those $2 bills, but I am sure glad she does becayse I love this tradition! $2?? Hey, we need an upgrade! Just kiddin…these thoughtful gestures warm my heart. This is terrific. Does Aunt Dot know about her legendary presence on the interwebs? Oh yes…and in case you are still interested, my blog is http://www.seekrockcity.wordpress.com. Mostly, I post album reviews, but you might find a few anecdotal articles of interest!